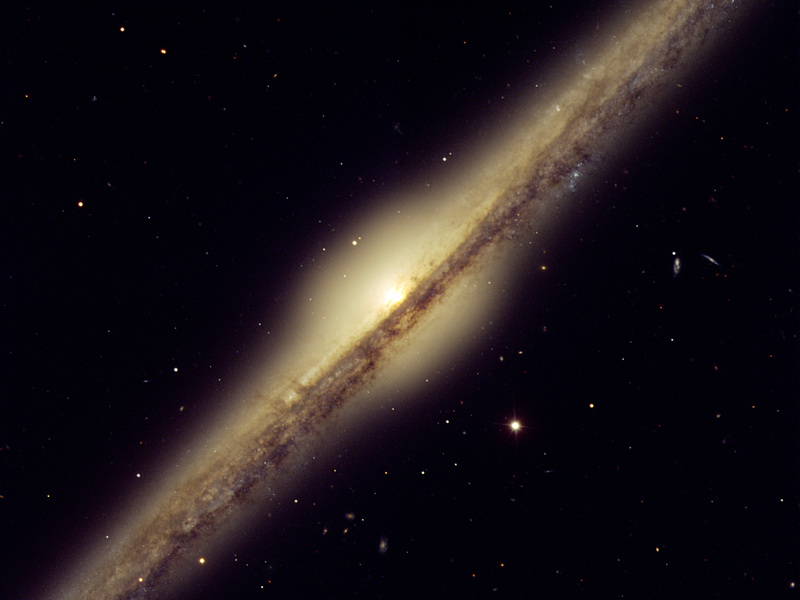 The first galaxy pictured here is NGC 4565, which for obvious reasons is also called the Needle Galaxy. 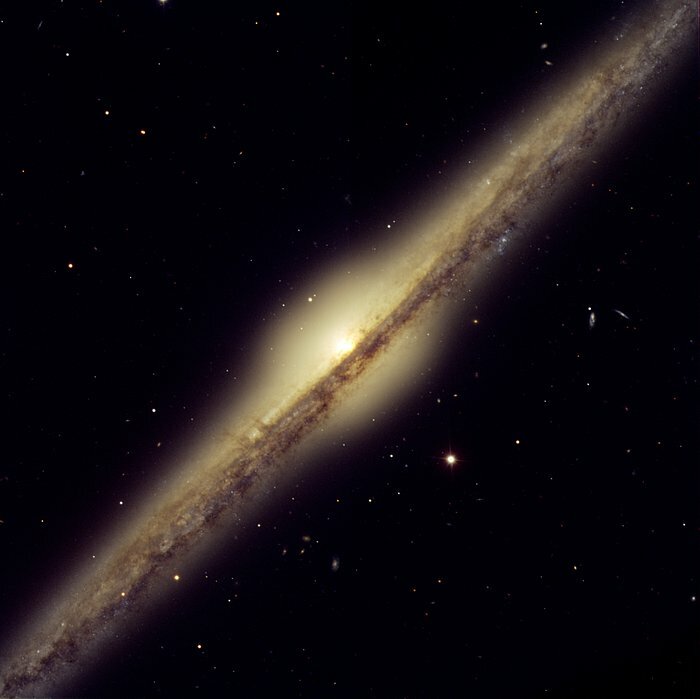 First spotted in 1785 by Uranus' discoverer, Sir William Herschel (1738-1822), this is one of the most famous example of an edge-on spiral galaxy and is located some 30 million light-years away in the constellation Coma Berenices (Berenice's Hair). It displays a bright yellowish central bulge that juts out above most impressive dust lanes. 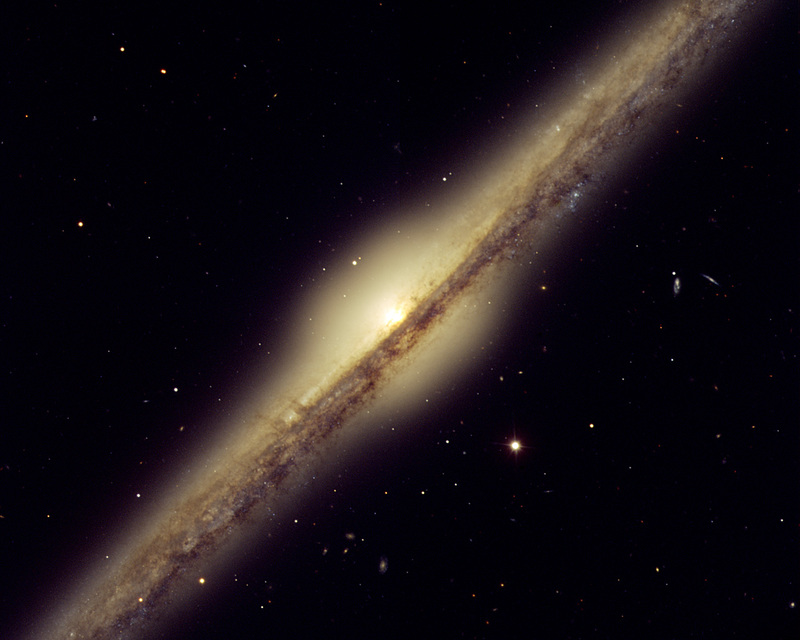 Because it is relatively close (it is only 12 times farther away than Messier 31, the Andromeda galaxy, which is the major galaxy closest to us) and relatively large (roughly one third larger than the Milky Way), it does not fit entirely into the field of view of the FORS instrument (about 7 x 7 arcmin2). 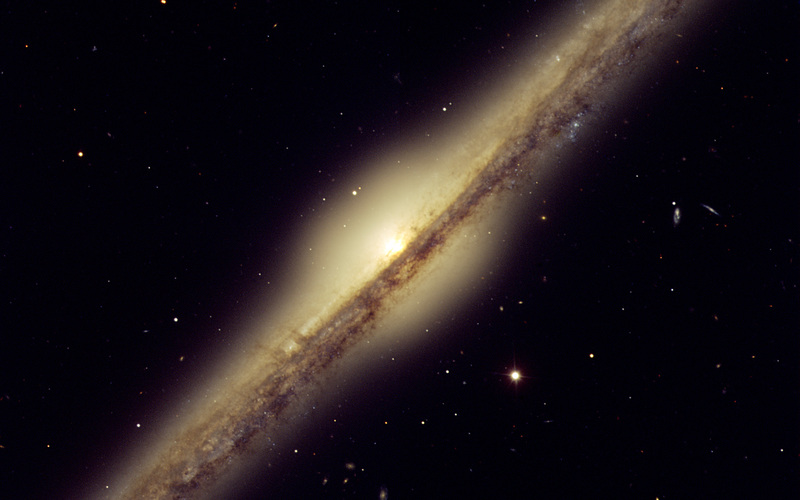 Many background galaxies are also visible in this FORS image, giving full meaning to their nickname of "island universes". Position (Dec): 25° 59' 14.04"